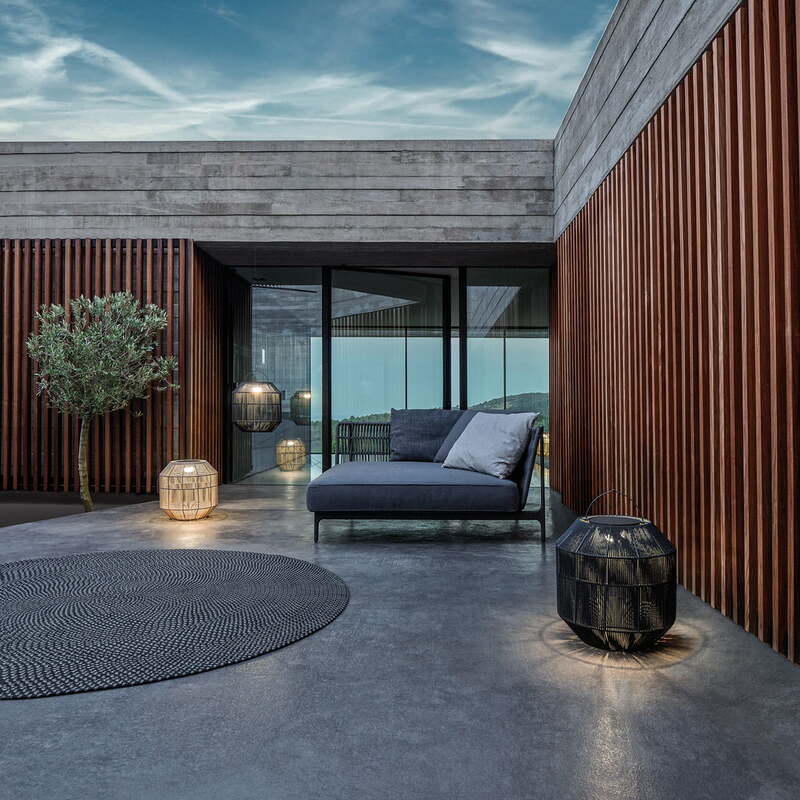 The Ambient Nest solar lamp by Gloster is a design by the designer Henrik Pedersen and is characterised by an interwoven structure reminiscent of a bird’s nest. The voluminous outdoor lamp consisting of a powder-coated steel frame is additionally covered with all-weather wicker. This gives the design a warm touch as well as a modern, nature-inspired boho appearance. Placed on the garden table or hung up thanks to the accompanying wire, the Ambient Nest creates a cosy atmosphere in any outdoor area. The lamp operates with solar energy but can also be charged using the main power supply. The lamp can be set to 3 different brightnesses thanks to an infrared remote control so that the right mood can be set for every situation. During battery operation, the lamp provides up to 4 hours of light on the highest power intensity. Details The LED lighting unit can be set to 3 different brightnesses thanks to an infrared remote control. Lifestlye product image of the Gloster 180 lounge series. 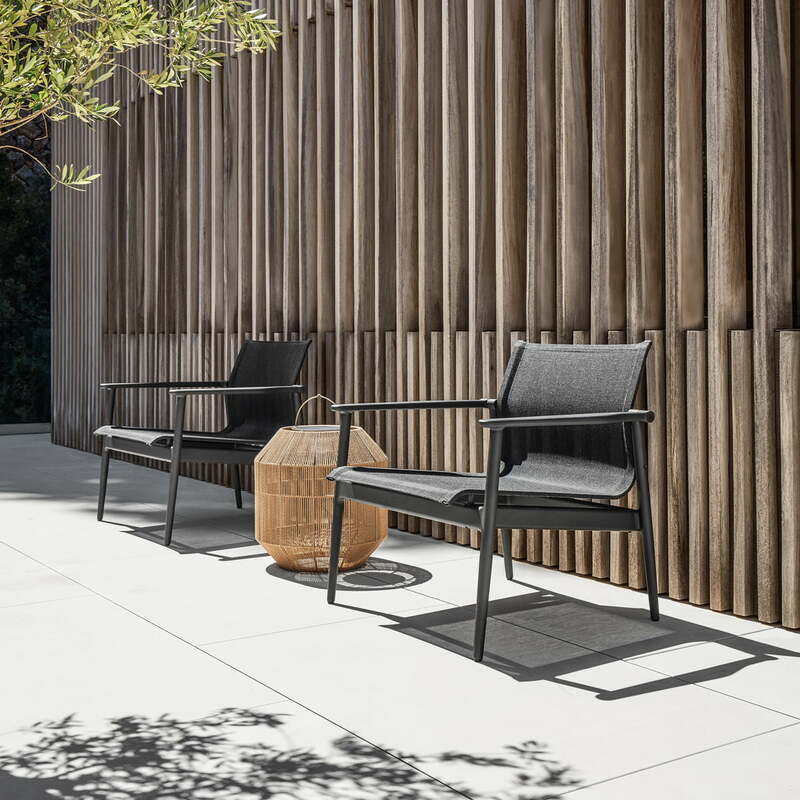 Thanks to the 180 lounge chairs, sunbeds and chairs, an attractive outdoor area can be created so that you can relax in style. The Gloster - Ambient Nest Solar Lamp in front of the house. 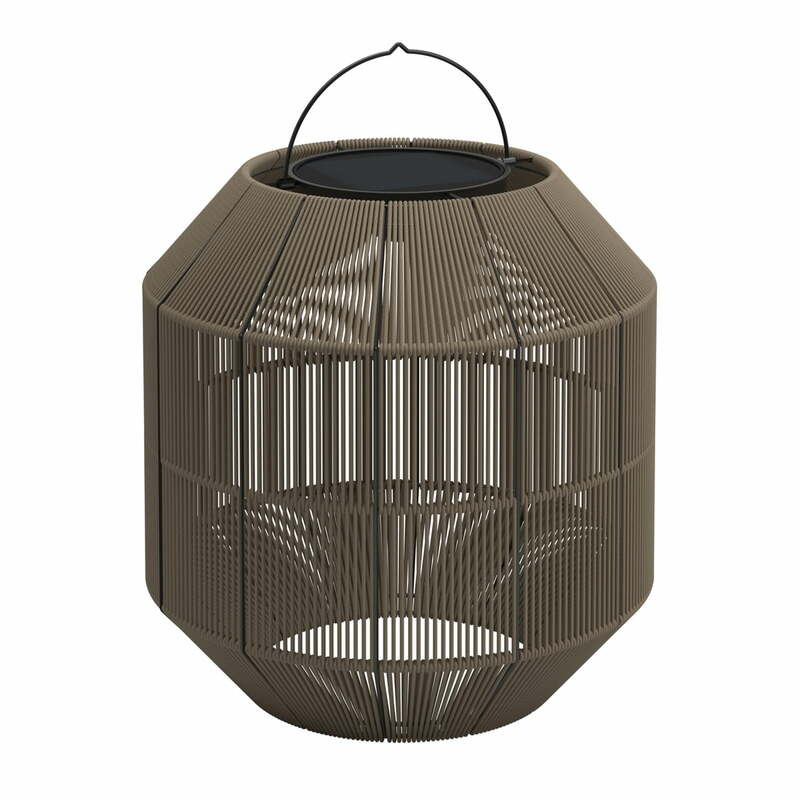 Placed on the garden table or hung from the accompanying wire, the Ambient Nest creates a cosy atmosphere in every outdoor area.